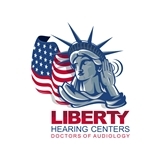 Liberty Hearing Centers / Downstate Medical Center (Brooklyn) - Book Appointment Online! Working within the field of health care,our goal is to provide our patients with the most comprehensive hearing healthcare available with an emphasis on personalized service. With over 20 years of experience in the Brooklyn area, our licensed Audiologists are highly qualified to perform a variety of hearing, balance and tinnitus (ringing of the ear) tests as well as assisting those patients with diagnosing and treating hearing loss or identifying other issues with balance. We look forward to having you in our offices and becoming a patient for life!